This product can not be exported from the United States! 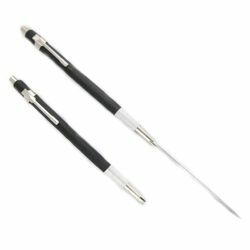 The Inner City Survival Pencil is a portable, concealable, unnoticeable, and effective weapon constructed from precision machined custom parts married to a top quality all metal drafting tool. It is a deterrent as well as being functional in the combat defense role. This simple to use and inexpensive tool is legal in most areas. Check your local authority if you are concerned. (THERE IS NO PROTECTION UNDER THE LAW IF IT IS MISUSED). 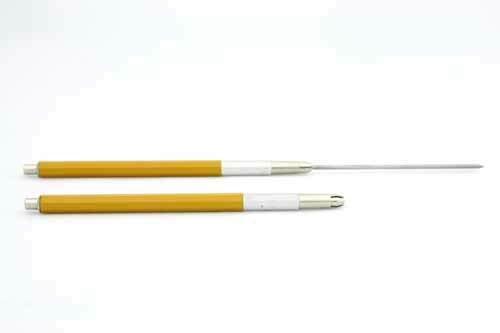 The Inner City Survival Pencil is ideal for the handicapped and aged. It has been used for more than 25 years by both the government and public in such diverse roles as a scribe, punch, marker, depth guage, etc, as well as being available for emergency defense purposes.